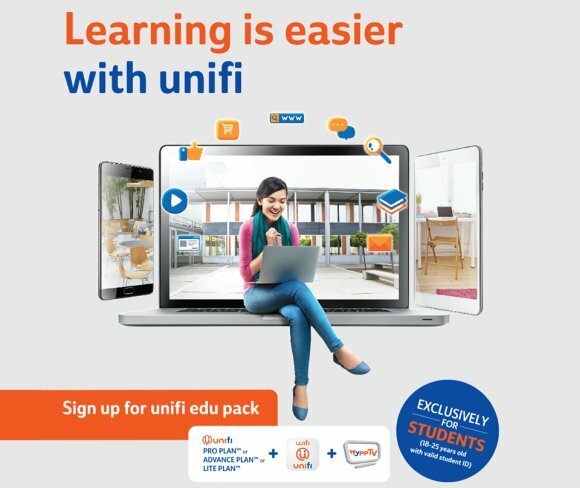 A few weeks ago, TM’s UniFi Edu plan for students was revealed with a starting price of RM99/month. This gives students substantial savings up to RM1,200 and it comes with free voice calls and HyppTV subscription. 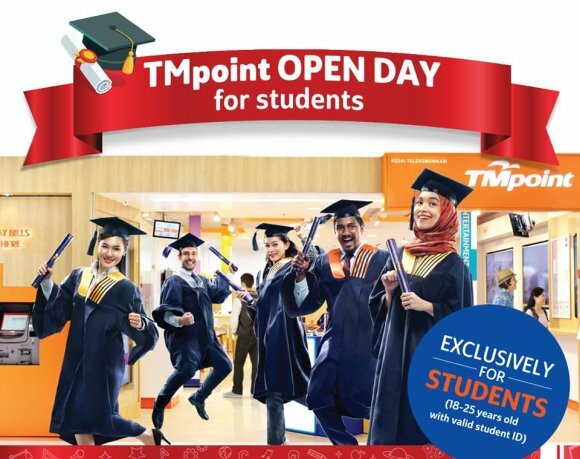 If you’re aged 18-25 with a valid student ID, you can sign up now at all TMpoints across Malaysia during its TMpoint OPEN DAY event that’s happening from today, 27 November until 31 December 2017. In terms of speed, the Lite Plan gives you 10Mbps download and 5Mbps upload, while the Advance Plan comes with 30Mbps download and 10Mbps upload. The highest Pro Plan offers 100Mbps of download while upload speed is half at 50Mbps. The student subscription rate is only valid for the first 24-months and after that, you’ll be billed the original rate which is RM30 more. 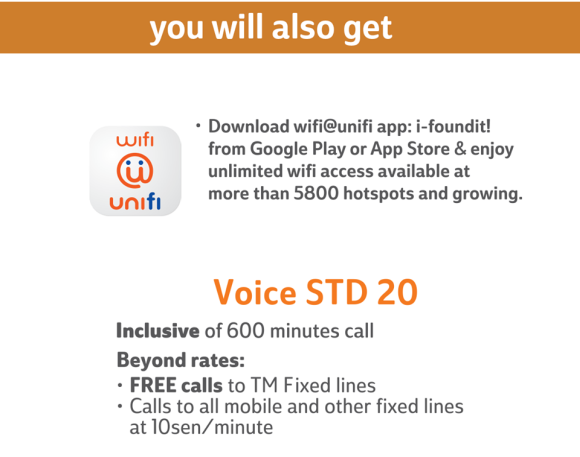 All plans come with Voice STD 20 which gives you 600 minutes of voice calls. After 600 minutes, all calls to TM fixed lines are free, while subsequent calls to other mobile and fixed line networks would cost 10 sen/minute. 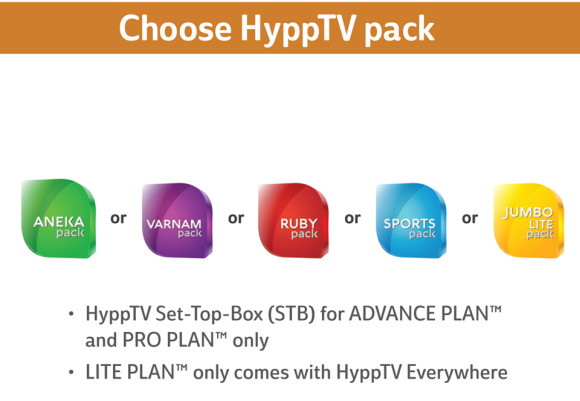 Also included is a HyppTV set-top-box (Advance and Pro Plan) and you can choose from 5 HyppTV packs. For Lite Plan, your access for HyppTV only comes from the HyppTV Everywhere app. You also get unlimited access to the [emailprotected] that currently has more than 5,800 hotspots around the country. Take note that the TM Edu plan is only available from TMpoint and it isn’t available from resellers. 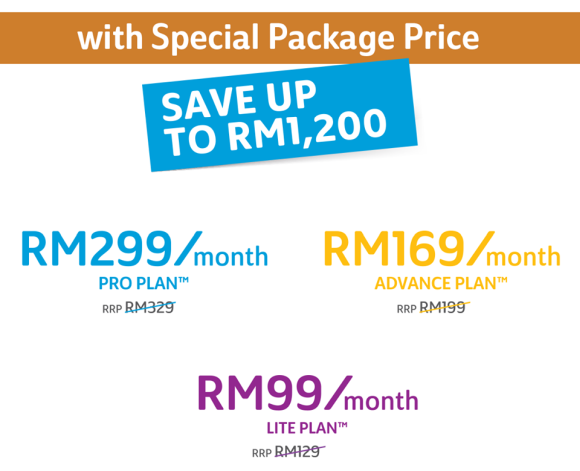 If you need faster speeds, the current RM10 upgrade offer for new subscribers is actually cheaper. You can get 30Mbps at RM139/month and 100Mbps at RM209/month but you don’t get free calls which cost RM20/month extra.